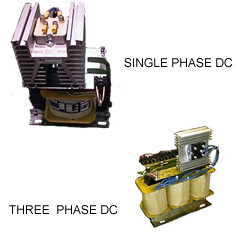 Rectified D.C. power supplies are custom made to the customers requirements. They are available in single or three phase, ranging from a couple of amps to 100s of amps. They can be enclosed or open type.